SPARKSGIVING CHAMPSClick here to edit title. CON3 JACKS ARE GIVING YOU A CHANCE TO LEARN MORE ABOUT OUR TALENTED YOUTHS. WE WILL FEATURE ONE PLAYER A MONTH. CON3 JACKS HOLDS STUDY HALL AT LEAST 2 TIMES A WEEK B4 PRACTICE. MONTHLY GRADE CHECKS ARE ALSO MADE TO MAKE SURE OUR CON3 PLAYERS ARE ON TASK. ITS TUFF TO MAKE THE GRADE AND MAKE THE TEAM. THATS WHY THESE YOUTHS ARE SPECIAL. HARD WORK ALL AROUND. THANKS TO ALL CON3 PARENTS AND PLAYERS WHO DONATED TO THE ALOHA PROGRAM THAT IS BEING RUN BY THE MHS.CON3 GIRLZ BASKETBALL WILL BE DONATING A CERTAIN AMOUNT OF $ TO MHS SO THE SHELTER CAN GET WHAT THEY NEED TO HELP OUT OUR PETS HERE IN HAWAII. GO AND CHECK OUT THERE SITE OUR CON3 JACKS LOGO IS UP. WE ARE NOW CONNECTED BY LINK. ANYONE ELSE WILLING TO DONATE FOR THE CAUSE YOU CAN CONTACT COACH KAI OR GO DIRECTLY TO THE MHS SHELTER AND GIVE THEM YOUR DONATION. WHEN YOU DO SO TELL UM CON3 BASKETBALL SENT YOU. LETS GIVE OUR ANIMALS ONE MORE CHANCE IN LIFE..
CON3 RAMS WENT UNDEFEATED THIS SEASON. KEEP UP THE GOOD WORK AND BEST OF LUCK IN THE FUTURE. STAY CON3 STRONG. HERE IS A FEW OF YOUR FUTURE YOUTHS PRACTICING THEIR HEARTS OUT. THESE KIDS HAVE A WHOLE LOT OF DEDICATION AND DETERMINATION. THEY ALL SHARE ONE GOAL AND THAT IS TO BE THE BEST THAT THEY CAN BE. 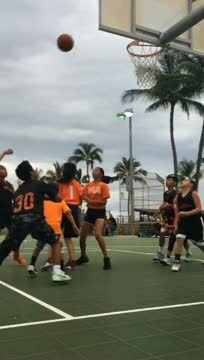 CON3 LIL JACKS BALLING UP DOWN KALAMA PARK TUESDAYS AND THURSDAYS COME CHECK THEM OUT THEY UNDEFEATED RIGHT NOW KEEP WORKING HARD AND STAY HUMBLE GANG... CON3 STRONG ALL DAY LONG..
A NORMAL DAY FOR THESE CON3 KIDS WHEN THEY NOT BALLIN. FROM THERE NIKES TO THERE RUBBER BOOTS. HERE IS A FEW OF YOUR CON3 BALLERS ENJOYING THE REAL COUNTRY. 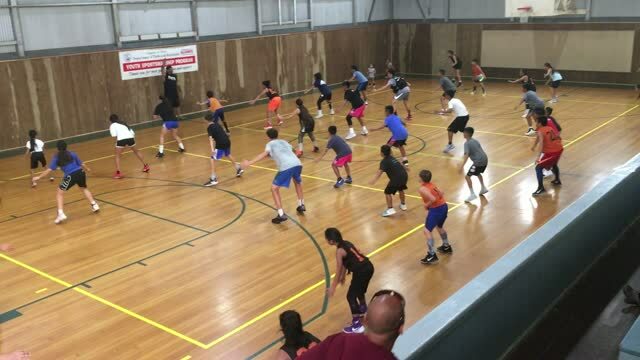 THESE KIDZ SPEND THE SAME AMOUNT OF TIME OFF THE COURT AS THEY DO ON THE COURT. CON3 LIFE IS HOW THEY LIVE. MAUKA TO MAKAI (MOUNTAIN TO OCEAN) THESE KIDS LEARN THE WAY TO LIVE OFF THE LAND.. HAPPY THANKSGIVING FROM THE CON3 JACKS.. CON3 JACKS SPENT WEDNESDAY AFTERNOON PASSING OUT HOT MEALS TO ALL IN NEED. THEY BEGAN AT THE LIFE CENTER DOWN TOWN WHERE THEY FED AT LEAST 70 PEOPLE THERE. WHEN THEY WERE ALL DONE AT THE END OF THE AFTERNOON CON3 FED OVER 200 HOT PLATES TO THE COMMUNITY. THIS WAS AN IMPORTANT LIFE LESSON LEARNED FOR OUR CON3 JACKS. ALSO MAHALO TO ALOHA KETTLE CORN FOR DONATING OVER 200 SMALL BAGS OF POPCORN FOR THIS EVENT. HAPPY HOLIDAYS TO ALL AND REMEMBER EVERYONE STAY CON3 STRONG ALL DAY LONG..